With spring fast approaching, there is a chance your fence could be looking a little drab. A lick of paint is a great way to freshen up a tired looking fence. This fence was painted immediately after being built, however this is a project that can be completed at any time of a fences life! 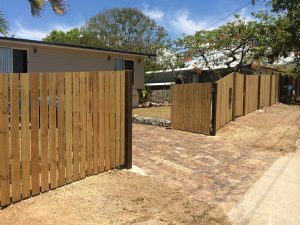 A great project to do if you are planning on selling your property and the fence timber is looking aged. 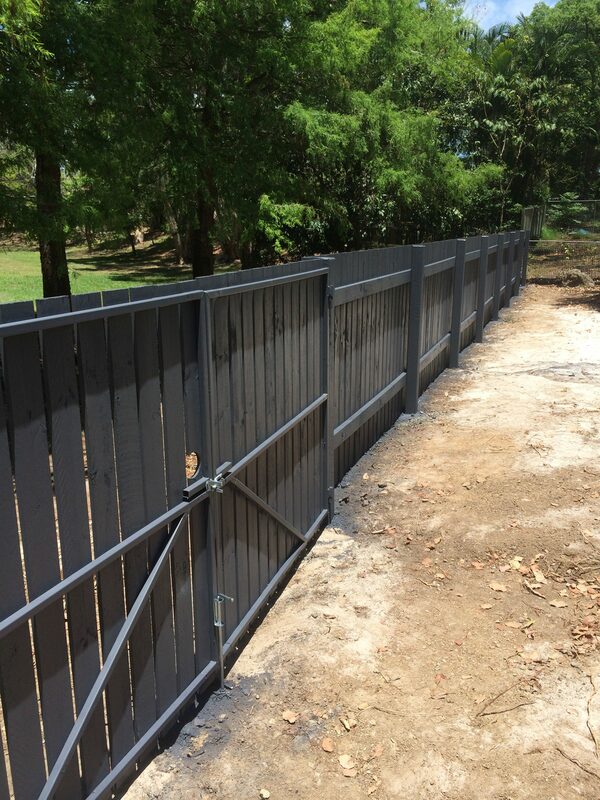 When freshening up the appearance of a fence paint or stain can be used. Both materials have pros and cons. If you choose to paint, there is a wide range of colours to choose from, therefore you are most likely to find one that will match the colour of your house nicely. Paint offers a thick barrier against the weathers elements, therefore lasting for years. Staining your fence will offer a more rustic look as you will see the grain of the timber through the stain. Less coats of stain will need to be applied than painting. We are available for obligation free quotes on the north side of Brisbane.